This week's case reviews two rounded, right upper lobe lung nodules removed from a 51-year-old woman. 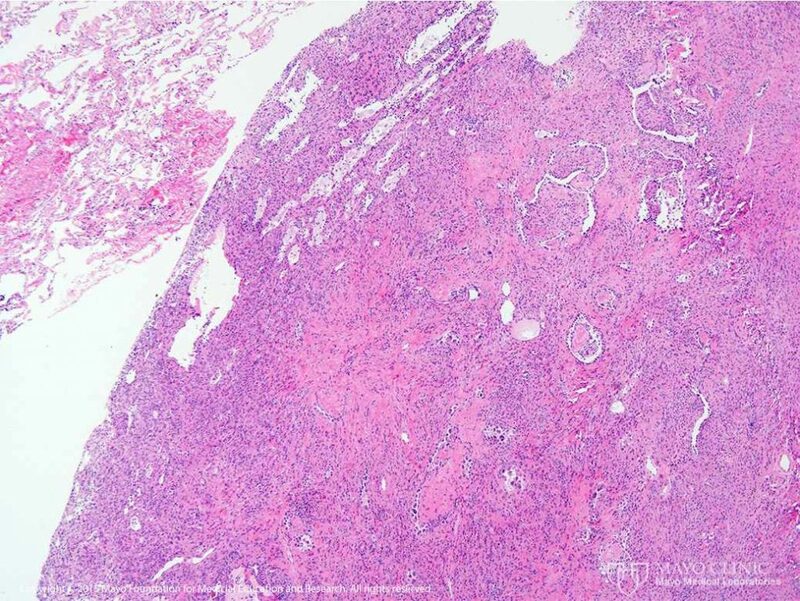 Histologic sections revealed the tumor was composed of two cell populations. Can you make the diagnosis from the slide images?